The legal marijuana industry in the U.S. is growing like a weed. One forecast envisions U.S. sales of recreational and medical marijuana hitting $75 billion by 2030. That projection is based largely on expected growth of the sector from the current 30 states that have legalized medical marijuana and nine states that have legalized recreational marijuana. As with any burgeoning industry, high-net-worth (HNW) investors and family offices are taking notice of the rise of the marijuana business. Some are put off by the pot sector, mostly due to concerns over the federal government’s anti-marijuana stance and the associated handcuffs on financial transactions. 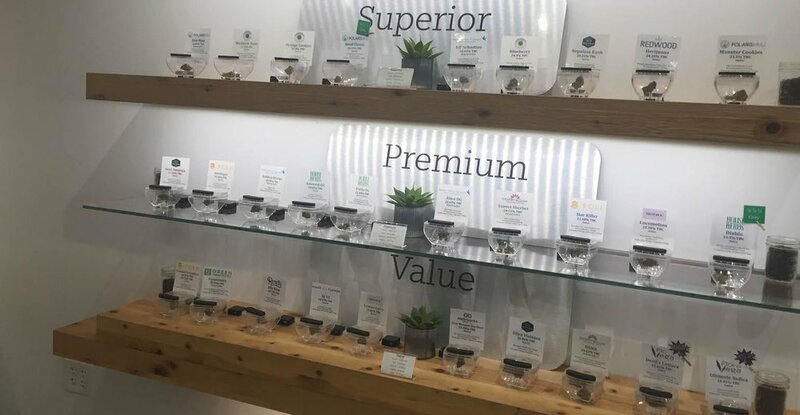 But one firm, The Inception Cos., a Los Angeles-based family office founded in 2015, recently launched Inception REIT, which provides sale-leaseback, senior debt and capital improvement financing to businesses in the medical and recreational segments of the marijuana industry. Th is includes warehouses and retail spaces in states where pot is legal. Executives says it’s the first REIT of its kind to offer this type of financing for the marijuana niche in commercial real estate. The REIT addresses a stumbling block for pot entrepreneurs: Old-school financial institutions won’t lend money for real estate deals because of the federal illegality of marijuana, while nontraditional lenders often charge high rates and fees for such deals. Meanwhile, the REIT enables HNW investors, family offices and others to get in on the marijuana action in more of a hands-off manner. Inception REIT doesn’t own and doesn’t plan to own any marijuana businesses. However, its sponsor does own stakes in several cannabis companies in the U.S., including publicly traded MedMen, which operates a chain of pot shops. Inception REIT is raising as much as $50 million from institutional and accredited investors for its initial offering, with average commitments of $100,000 already in hand from several real estate investors and executives. The REIT even accepts investments from self-directed IRAs. Executives say potential cash-flow yields for the REIT exceed 12 percent, with returns possibly two to three times greater than traditional real estate. In a Q&A with NREI, Richard Acosta, CEO of Inception REIT, explains why marijuana real estate is an attractive investment, why values in the space are “rich” and what the market potential is. NREI: Why would a HNW investor or family office want to invest to this space? Richard Acosta: Cannabis is topical right now. You’re seeing a lot of activity in Canada, you’re seeing what cannabis stocks there have done, and you’re seeing the impending legalization of recreational cannabis in Canada on Oct. 17. From an investment perspective—watching the Canadian story and watching those markets develop—folks are saying, “OK, clearly there’s momentum for federal legalization here in the United States.” Popular support has crossed the 60% mark if you look at nationwide polls in the U.S. People are realizing that it’s just a matter of time before legalization happens here, and they’re looking for smart ways to deploy capital in the space. There are very limited ways to do that today. NREI: What can you tell HNW investors and family offices who might have risk aversion to this sector? Richard Acosta: That aversion typically comes from people who have looked at equity plays where there certainly is risk from the operators’ side, from the credit perspective. Our twist on this is that values are rich. Operating companies in the U.S. are raising capital off of what I’d say are elevated valuations guided by some of the Canadian trading that is happening. We don’t really want to be a financier for these businesses and take that type of equity exposure, so we’re skewing our strategy toward the debt side, where there is a very obvious capital gap. Banks cannot lend in this space. There are still unknowns in the industry. Regulations are choppy—it’s truly city by city—so we just feel that debt is a safer place to be. You’re sort of getting paid to wait; the yields are elevated, given that there are no traditional banking sources in the market. We’ll, of course, see compression with more market entrants, and we’ll certainly see compression when the federal prohibition is lifted. NREI: What is the market potential for real estate in the marijuana industry? Richard Acosta: It’s a little bit like the data center business in its complexity and scalability. The opportunity in California alone is clearly in the hundreds of millions of dollars if you just think about cannabis real estate assets. If you look at other markets that have legalized recreational marijuana, you’re probably close to $1 billion if you aggregate assets in those states. It’s a deep pool of assets; it’s multiples of our initial $50 million target. We’re fully expecting the market to continue to develop and to shift, as regulations are not only state by state but county by county and city by city.